After the great success and the high demand after the 2016 event we held our second Flexofit Nigeria Seminar in Lagos on 31st March 2017. Special guest Professor Pierre Pienaar, Vice President of the World Packaging Organization shared insights into packaging developments worldwide and in Nigeria with the audience. The seminar with presentations from major international suppliers like Esko and Chespa attracted a broad audience of local industry staff. A discussion on the most important issues of the Nigerian printing market concluded the Seminar. It was agreed, that even though the political situation in Nigeria may sometimes be challenging, there is a growing market for packaging. While at the same time the supply of resources and devices is not yet at its full potential. Representatives from highly successful local printing houses like Shongai Packaging, Studio Press Nigeria, VeePee Group and many other distinguished guests were inspired by the presentations from the international companies. Here is a video from Nigeria Packaging that gives you a good insight, on how well the seminar was perceived. The event was also featured in Flexoglobal and in Flexpack Magazine. If you are interested in attending one of our upcoming Flexofit Africa Seminars, please see here all events for 2017 or contact us directly via email. 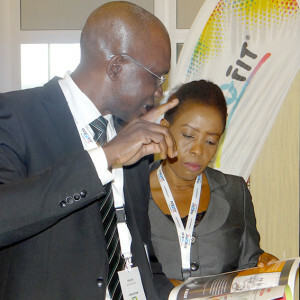 The Flexofit GmbH successfully held their first Flexofit Seminar in Lagos, Nigeria on the 25th of April. Presentations on the latest developments in Flexo printing from international industry experts from world leading printing industry companies delighted the expert audience: top managers from companies like SPN, VeePee Group and Coca-Cola (Nigerian Bottling Company) amongst other representatives of the Nigerian Packaging industry. The General Secretary of the IOPN (Institute of Packaging Nigeria) Ahmed Omah, also a member of the APO (African Packaging Organisation) gave an insightful talk on the African market situation. This was followed by a special discussion forum around the obstacles in the packaging industry in Nigeria led by Jacob Bejer (Heidelberg Nigeria), Marek Siekiera (Chespa), Ahmed Kassem (CocaCola) and others. As a special guest Jacek Kusmierczyk, Chancellor of the Gutenberg society and owner of Grafikus and other Polish printing houses, held a presentation about the special challenges regarding education and training of employees in Africa. This was also published by Flexo and Gravure Global and Flexpack.info.